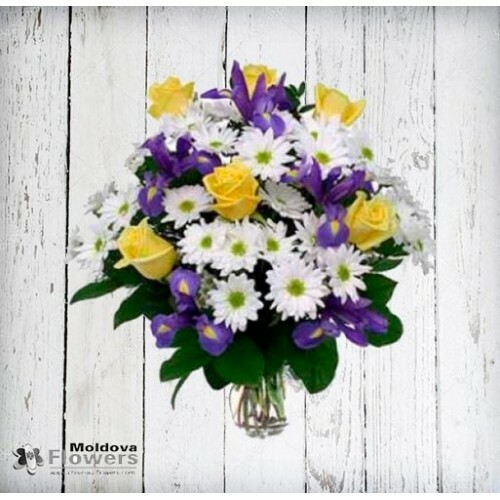 Captivating arrangement of 7 long stemmed yellow roses in a bed of pure white daisies and dramatic, purple irises. Wow! Irises available only from February to April.